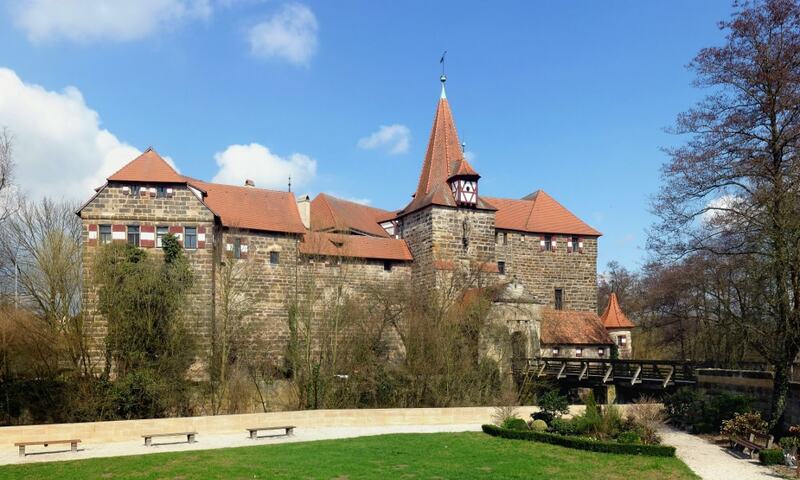 Lauf Castle was originally a medieval fortress Charles IV, Holy Roman Emperor in 1356, on the way between Prague and Nuremberg on the ruins of an older castle. The dominant feature of the castle is the hall of arms with character galleries discovered in 1934. Under a layer of old paint were hidden 112 coats of arms of noblemen of the Crown of Bohemia. It is the most precious collection of Bohemian, Moravian and Silesian secular and ecclesiastical heraldry.